Chalet Ibex is one of the highest chalet style apartments in the French Alps, it is split over two floors and accommodates up to twelve guests. This chalet offers spacious modern decor and boasts an open plan communal living area with wonderful views of the piste. The lounge has comfortable sofas ideal for relaxing after the exertions on the slopes. Your chalet host will be on hand throughout your holiday serving wonderful hearty food and ready and willing to advise on ski conditions and what to do and where to go, they will offer a wealth of knowledge to ensure that you get the best out of your ski holiday. As a chalet style apartment, the Chalet Ibex is ideal for families or groups taking over the apartment due to its shared facilities and cosy communal areas, although we are happy to sell on an individual room basis if requested. Chalet Ibex also has the added advantage of being situated in Chalet des Neiges Residence, giving guests of Chalet Ibex access to the indoor heated swimming pool and the ten man sauna. This great array of extra facilities makes a real difference, particularly if there are non-skiers in your group or simply as an added extra for the little ones in the evening time. The residence also enjoys the convenience of having the ski hire shop right in the heart of the residence so ski and board hire is easily accessible. Chalet Ibex cannot take infants. Chalet Ibex is located in a quiet part of Val Thorens in the Chalet des Neiges residence, one of the highest residences in the French Alps. You can ski back to within 200m of the Chalet Des Neiges residence, and ski from 300m. The apartment is positioned on the third floor of Chalet B in the Des Neiges Residence. Access to the chalet from the reception is via an elevator to level three, a short walk via an external stairwell brings you to the entrance of Chalet B. The swimming pool and sauna are on this level, and Chalet Ibex is on the third floor, accessible by stairwell. Perfectly positioned close to the slopes, there are also pubs, restaurants and shops galore, all located within a few minutes’ walk from your door. 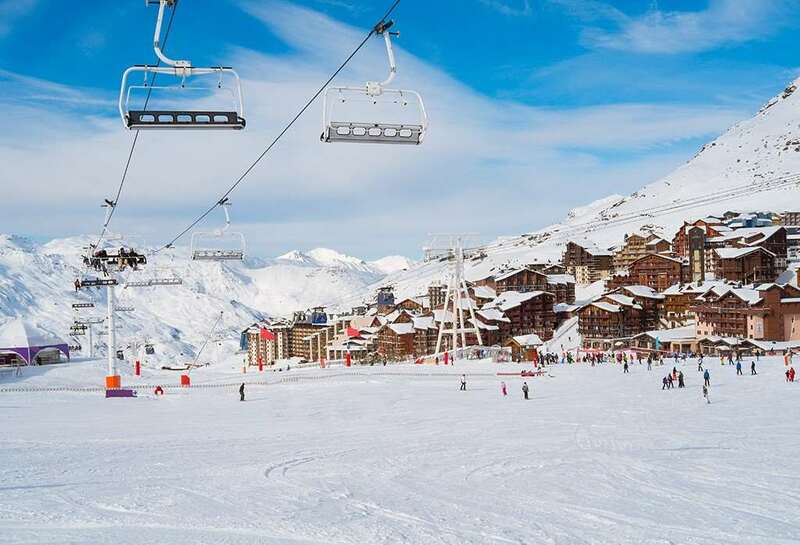 A 7 minute downhill walk from the residence will bring beginners to the beginner area, alternatively there is a bus stop 300m away from the Chalet des Neiges residence.